Brexit has brought an air of uncertainty for companies operating in and doing business with the United Kingdom. As no country has left the EU before, no one knows what the process looks like and what impact it will have on businesses. The negotiations are still ongoing and in order to be as prepared as can be, companies are advised to keep an eye on official updates from the European Union and the British government so as to know where to focus efforts. Below are some noteworthy dates to keep in mind to stay up to date with the latest updates on the Brexit process. EU summit. The official deadline for setting out the terms to be included in the withdrawal agreement for the “divorce” between the EU and the UK. The Withdrawal Agreement is expected to be finalised. EU has suggested this month as the latest a deal can be finalised. However, an exact date has yet to be agreed. EU summit. This is the fall-back option in case no deal has been reached by October and both sides continue to want to reach an agreement. If the withdrawal agreement has not been presented by the government on this date, the Members of Parliament (MPs) will be granted powers to influence ministers’ next steps. The final summit that the UK is expected to attend as a member of the EU. The European Union (Withdrawal Agreement) Bill needs to be approved and passed by Parliament to implement the agreement. The UK leaves the EU. Elections for the European Parliament in 27 EU countries – the UK will no longer be represented. Stay up to date on Brexit! 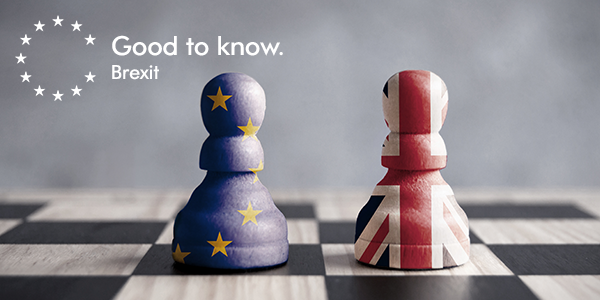 There are many ways you can stay updated about Brexit with Goodwille. Sign up to our Brexit Newsletter to receive updates and developments of the Brexit negotiations straight to your inbox. On our Brexit page, we have also consolidated everything discussed about to date to provide you a resource where you can track the developments of the negotiations as they happen. Additionally, Goodwille has created a committee to monitor the progress of Brexit from a European perspective as well as the UK one. Feel free to contact us if you have any questions about how Brexit will impact your business in or with the UK post-Brexit. This update is for general guidance only. Specific legal advice should be obtained in all cases. This material is the copyright of Goodwille Limited (unless otherwise stipulated) and is not to be reproduced in whole or in part without prior written consent.